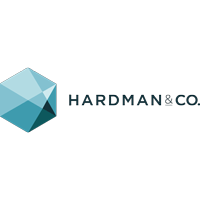 Haydale Graphene Industries Plc (LON:HAYD), Financial issues are now likely to affect the shares in the near term, as the group seeks new working capital funding arrangements. However, commercial developments are generally progressing well, and the long-term risk/reward balance remains favourable. The shares are attractively valued compared with their peer group, on P/NAV and EV/sales, and also on a DCF basis. Background: The group’s planned $1.5m investment project in its new silicon carbide cutting tools production line remains on track, with newly acquired tooling and equipment being assembled, on budget, in its US facility in South Carolina. The group anticipates first revenues from these products to commence in spring 2019 and to lead to positive EBITDA thereafter. 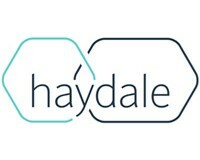 Financial developments: Haydale had intended to refinance (including the possible sale and leaseback) the capital equipment purchased by the group for the new cutting tools production line. Following recent discussions with possible lenders, it now believes such funding will not be available until production commences. Thus, it will be seeking alternative sources of finance in the coming months to satisfy its ongoing financial obligations in the short- to medium-term commercial adoption. Cost base reduction programme: As Haydale is continuing to experience extended lead times from its customers in their adoption of its next-generation products in commercial quantities, management has started to resize its overhead base to reflect the near-term sales focus on its graphene and smart inks, and its SiC products. This should be regarded as positive and has led to a reduction in its annualised SG&A costs by ca.£1.0m, the full benefits of which will come through in early 2019. Investment summary: While financial uncertainties prevail, commercial traction is good, and the group has entered FY19 with a healthy order book. We are maintaining our forecasts for FY19, which we still believe to be conservative, with strong growth expected in FY20. The shares have performed poorly recently, but the risk/reward balance remains favourable on a long-term basis. The shares are attractively valued vs. their peer group, on P/NAV and EV/sales, and also on a DCF basis. Click HAYD for the full archive.